Landmark architecture in Shanghai’s Pudong, the financial district. 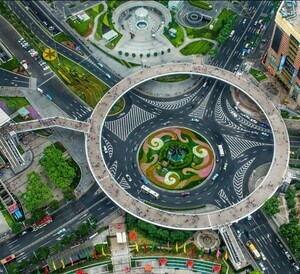 The circular walkway gives open access for pedestrians to all surrounding streets. As seen from above, standing at one of the observation decks in the Oriental Pearl Tower. 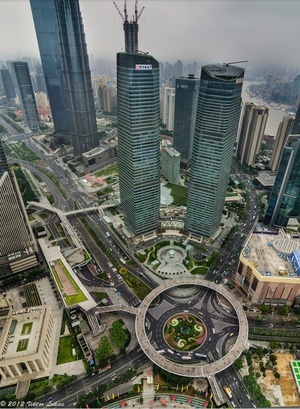 Posted in Misc and tagged Shanghai, walkway at 2:08 pm on October 8, 2012 by Broadsheet.